Cycling Campaigners Lindsi Bluemel and Dilys Gartside have been championing the needs of Southampton’s cyclists and would-be cyclists for over a decade and this weekend saw their commitment and hard work recognised and rewarded. 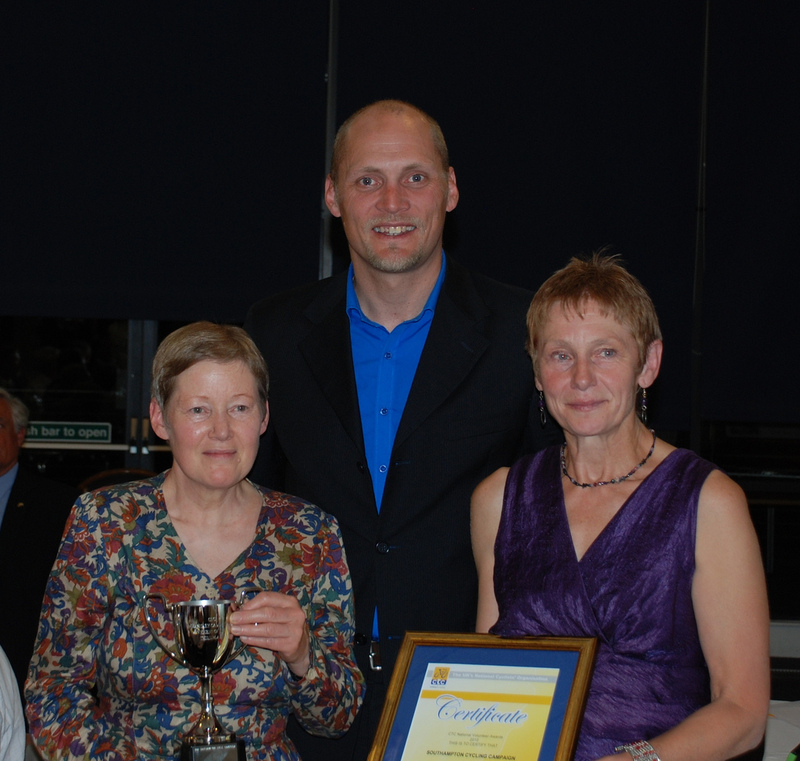 At the National Dinner and Awards Ceremony of CTC (UK’s cyclists organisation) held this year at Weymouth & Portland National Sailing Academy, they were presented with 3rd place Campaigning Achievement of the Year cup, a framed Certificate and medal. The ceremony was attended by 150 guests and the prizes presented by Magnus Backstedt, Principal for the UK Youth Professional Cycling Team.